Coal production in Ukraine has slumped by 17%, to 57 million tonnes over the last 10 months, First Deputy Minister of the Energy and Coal Industry of Ukraine Yuriy Zyukov said at a press conference in Kyiv on Monday. 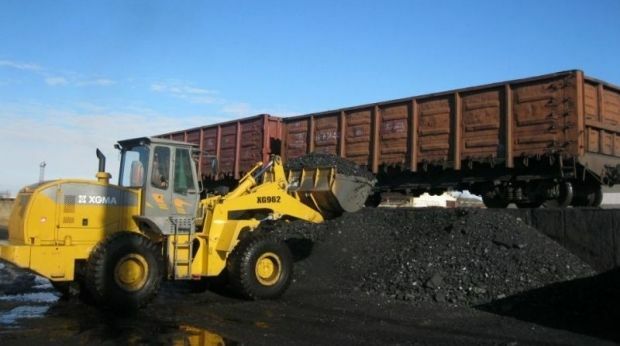 In recent months Ukraine has already lost about 12 million tonnes of coal production due to the ongoing hostilities in the Donbas, where 80% of the country’s mines are located, Zyukov said. "In recent months we’ve lost nearly 12 million tonnes of coal because of the fighting. State-owned enterprises have extracted 16 million tonnes, with losses totalling 3.7 million tonnes,” said Zyukov. According to him, coal extraction over the last 10-months of 2014 is down by 17%, to 57 million tonnes from 68.6 million tonnes compared to the same period last year. For the first time in years, Ukraine has begun importing power-generating coal for its coal-fired power stations, as its own production has slumped due to the fighting in the Donbas. Gas shortages and the shutdown of 80% of mines in Ukraine have resulted in a shortage of energy resources and, as a result, of electricity. Nuclear power stations produce around half of the electricity generated in Ukraine, with the rest being produced by thermal power stations burning natural gas and coal, along with hydroelectric power stations and "green" energy sytems, such as wind farms and solar power plants.